I really enjoy taking part in the linky’s featured by my fellow bloggers. Sometimes they can help to structure my own thoughts. Other times they are just fun to write and be involved in. We are now at the start of a fresh new year and one thing I tend to do, is to take on too much. My brain goes a bit scatter gun in my desire to want to do too many things. I like to learn, develop my skills, get involved in things. Sometimes I have to admit I overwhelm myself and consequently run the risk of not doing anything or doing very little. 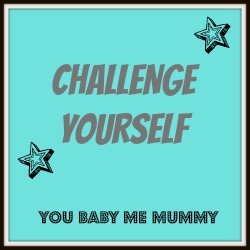 So in the spirit of new challenges, learning new skills and our brand new year, I have decided to start a linky, which will run monthly entitled ‘Challenge Yourself’. At the start of the last week of the month I will open the linky (which will be open for a week), we can all share a post about what we challenged ourselves with that month and share next months personal challenge. Hopefully this will give us some focus to achieve. I know it will help me, to break things into chunks and accomplish one thing at a time. The challenges could be linked to your resolutions, exercise more, healthy eating or it could be trying something new or learning a new skill, whatever you wish. O.k so we are a week into 2014, but my January challenge will be to learn how to use my big camera. This ties in with my 2014 Bucket List/Resolutions. I take a lot of photos, but ALL on my phone and I really want to use and understand my proper camera. So I have a couple of weeks to make some progress. I hope you will all be encouraged to join me and challenge yourself! I will post my update and open the linky on Saturday 25th January, which will give everyone a week to post. Even if you don’t blog, I hope you will join in and post your update in the comments section, I would love to read how you have got on. ← What’s In Your Changing Bag?